Commidea, a card payment processing provider, has announced that it is providing its integrated point-of-sales systems with contactless technology to YO! Sushi. The system has been deployed in partnership with Clarity Commerce Solutions, a supplier of EPOS solutions for the hospitality sector. YO! 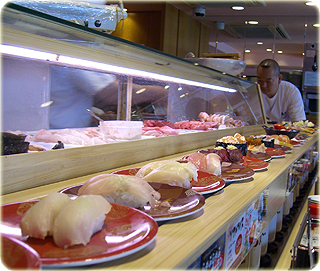 Sushi is using Commidea’s payment solution in 30 of its 40 restaurants to improve throughput and eliminate transaction errors. The integrated system transfers the data from the Clarity Enterprise Suite software to Commidea’s Chip & PIN terminal automatically from the till. In addition, YO! Sushi has implemented Commidea’s contactless payment solution, where the contactless enabled credit card is simply passed over a reader to make a purchase of $15 or under, without the need to enter a PIN code. Another feature developed by Commidea enabled YO! Sushi’s customers to use the payment terminal to add a gratuity. This has removed the need for serving staff to request a gratuity from customers, and has resulted in an overall increase in tips.